Key Difference: Dedicated and Integrated Graphics Cards are two types of graphics cards. The main difference between two is that the integrated graphics card comes built in to the computer. Whereas, the dedicated graphics card is an external attachment that must be connected to the motherboard. 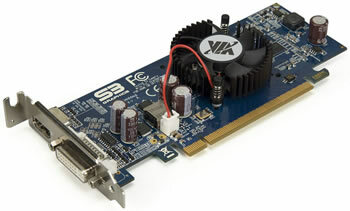 A graphics card, also known as a graphics processing unit (GPU), is a card that allows the system or computer to create a series of images or graphics. They are basically required for any and all tasks that are conducted on the computer, whether that is word processing or intensive gaming. The computer has many components, one of which is the graphics card. As if computers weren’t complicated enough, there are two different types of GPUs available: Dedicated Graphics Card and Integrated Graphics Card. The main difference between two is that the integrated graphics card comes built in to the computer. It is an internal attachment that is integrated into the motherboard or the CPU of the computer. Whereas, the dedicated graphics card is an external attachment that must be connected to the motherboard. The benefit of a dedicated graphics card is that it is a specialized piece of equipment dedicated solely to managing the graphics performance in a computer. Being a specialized piece of equipment usually means that it will be better at its job, i.e. it is more powerful than a non-specialized piece of equipment, the integrated graphics systems. However, there is a price to be paid for this specialization. Not only do dedicated graphics cards need to be purchased separately, they also have higher power consumption and they tend to generate more heat. A dedicated graphics card consists of a GPU, which functions similarly to the main processor, i.e. CPU in the computer. In addition, it has its own dedicated RAM. 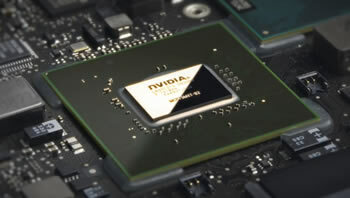 Whereas an integrated graphics card is built into the same chip as the CPU, which is why a computer is capable of producing graphics without having an external graphics card attached. The integrated graphics card shares the RAM with the CPU, which takes the RAM away from other functions. Usually, a percentage of the RAM is fixed for the integrated graphics card, for example, if the computer has 4GB of RAM and 1GB shared graphics memory, it means that at any given time, the user has access to only 3GB of RAM for processing. However, better shared graphics are on the rise, due to which many computers and especially laptops these days come with an integrated graphics card rather than a dedicated graphics card. Still, if the user does feel the need for a dedicated graphics card, they can always purchase one and have it installed. A dedicated graphics card is often also called discrete graphics card, whereas an integrated graphics card is also called a shared graphics card. Is in an internal attachment that is integrated into the motherboard or the CPU. Hi, Can a dedicated graphic card be installed after a year of laptop purchased? This is a Great Topic with excellent info, but there is a small mistake. In the table, Dedicated Graphics Card should be Also known as Discrete GPU or discrete graphics card and Integrated Graphics Card should be Also known as On-board card. Just make exchange. Hi Hasan, Thank you for pointing that out. We have fixed it accordingly.